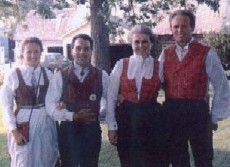 The Sons of Norway Cultural Skills program is designed to serve several purposes: to encourage active participation in cultural activities, to enrich the lives of members of all ages, to provide the basis for special interest clubs and to provide new reasons for people to join Sons of Norway! 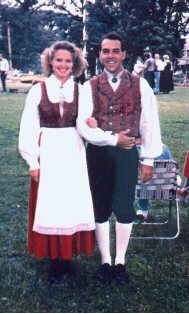 David and Nancy McCord and David and Marilyn Olstad have been very active in the Norwegian dance groups in Hanska, Minnesota. Mentor Track: This track is for formal or informal teachers who help others in earning the above medals. Master of Cultural Skills: Any of the above 3 tracks may lead to the Master's pin. To earn this medal, a person must complete all 3 levels of three activities or the basic level of 9 activities. Level 1--Complete people 1­7 on a four-generation ancestor chart, etc. 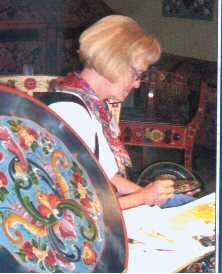 For more information on this program, please contact our Cultural Director.